Note: Because Guadeloupe is an overseas territory of France they have very few national symbols of their own. Therefore some of the following symbols are that of France. 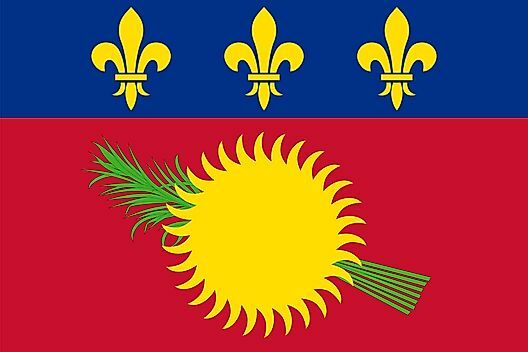 Coat of Arms: Guadeloupe's coat of arms is a logo consisting of a sun and bird placed diagonally across a green and blue square. What is the Capital of Guadeloupe? What Language is Spoken in Gaudeloupe?